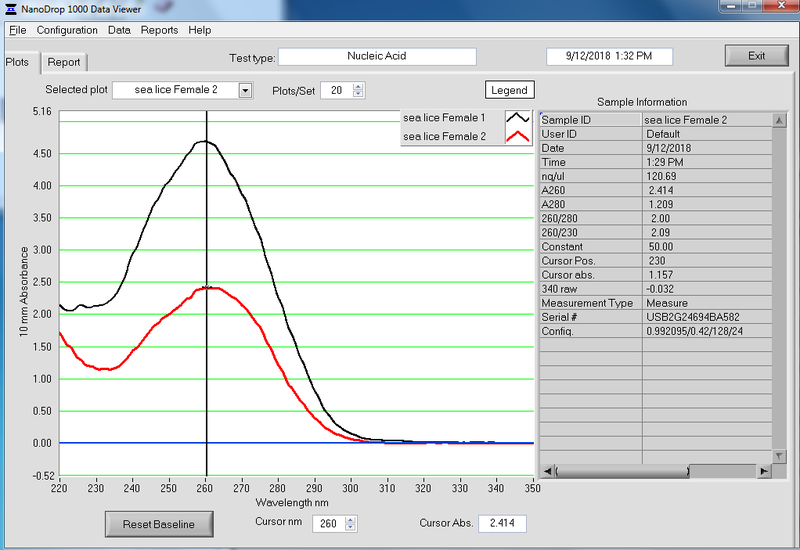 Quantified Crassostrea virginica MBD-enriched DNA from earlier today for Qiagen project. Used the Qubit 3.0 (ThermoFisher) and the Qubit dsDNA Broad Range (BR) Kit (ThermoFisher). Will store @ -20C until next week so that we’re not shipping so close to the weekend (shipping address is in Germany). 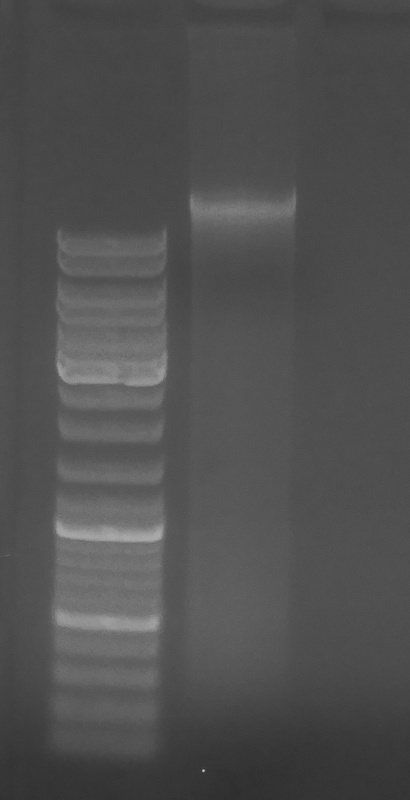 DNA was isolated from a single adult Eastern oyster (Crassostrea virginica) for a pilot project with Qiagen to test their new DNA bisulfite conversion kit. The oyster was obtained yesterday afternoon (20171210) from the Taylo rShellfish Pioneer Square location. The oyster was stored @ 4C O/N. The oyster was shucked and four pieces of upper mantle tissue (~35mg each) were snap frozen in liquid nitrogen (LN2). Tissues were pulverized under LN2 and then DNA was isolated separately from each sample using the E.Z.N.A. Mollusc DNA Kit (Omega) according to the manufcaturer’s protocol. Samples were eluted with 100uL of Elution Buffer and were pooled into a single tube. The gDNA was quantified using the Qubit 3.0 (Invitrogen) and Qubit dsDNA Broad Range Kit (Invitrogen), using 5uL of sample. That makes the total yield ~23.36ug (23360ng). This is more than enough to perform two separate MeDIP preps and two separate reduced representation digestions with MspI. Will proceed with shearing of DNA for MeDIP. NOTE: Sample 034 did not process properly (no phase separation after 24:1 chlorform:IAA addition – along with suggested additions of ML1 Buffer) and was discarded. Quantified the DNA using the Qubit dsDNA BR Kit (Invitrogen). Used 2μL of DNA sample. Samples were stored in the same box the tissue was delivered in and stored in the same location in our -80C: rack 8, row 5, column 4. Will let Steven & Katie know. Quantified the DNA we received from Jose on 20160615 using the Qubit 3.0 Flouorometer (ThermoFisher) with the dsDNA Broad Range (BR) Kit according to the manufacturer’s protocol. Used 1μL of each sample. Will proceed with DNA methylation assessment.